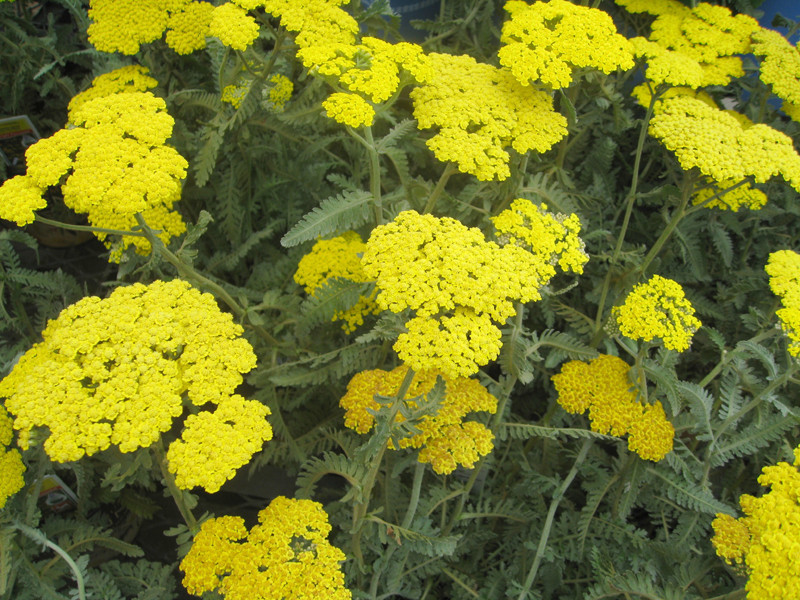 Comments: This yarrow has gray-green foliage and light lemon colored flowers heads that can be quiet large. Drought amd salt tolerant and deer resistant. Makes cut and dried flowers and as mass plantings in the landscape. Flowering begins in spring and continues into late summer. It is highly adaptable to various types of soils and to will grow in moist to dry ones.